Click on the image above to download PDF document. 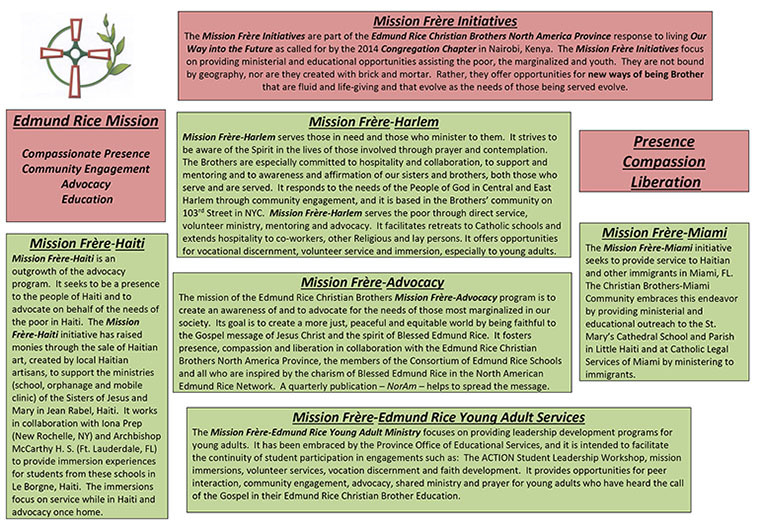 Here in North America, we have attempted to do this by what we call our Mission Frère initiatives. At present, we have 5 initiatives in operation. They are not made of brick and mortar. They are not necessarily buildings and institutions. Rather, they are projects/initiatives that allow us to be Brother in new ways, responding to the world’s agenda.